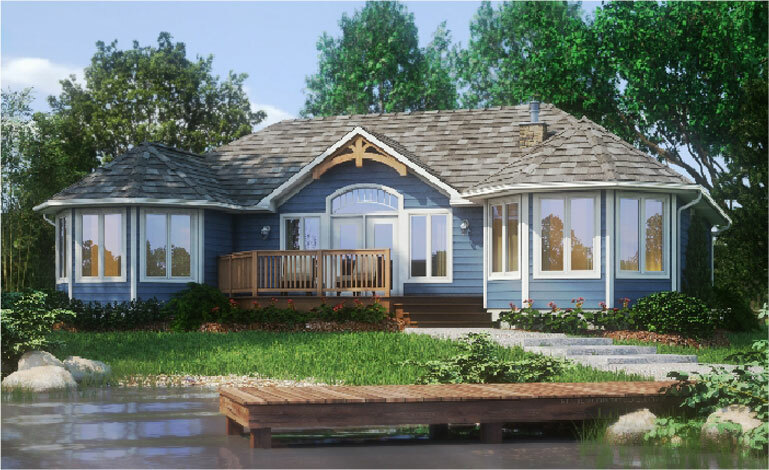 The Sunset Trent is a spacious, three bedroom vacation home ideal for lakefront or country lots. This version has a very open concept, encompassing a large kitchen, dining room and family room, making efficient use of this cottage’s entertaining space. 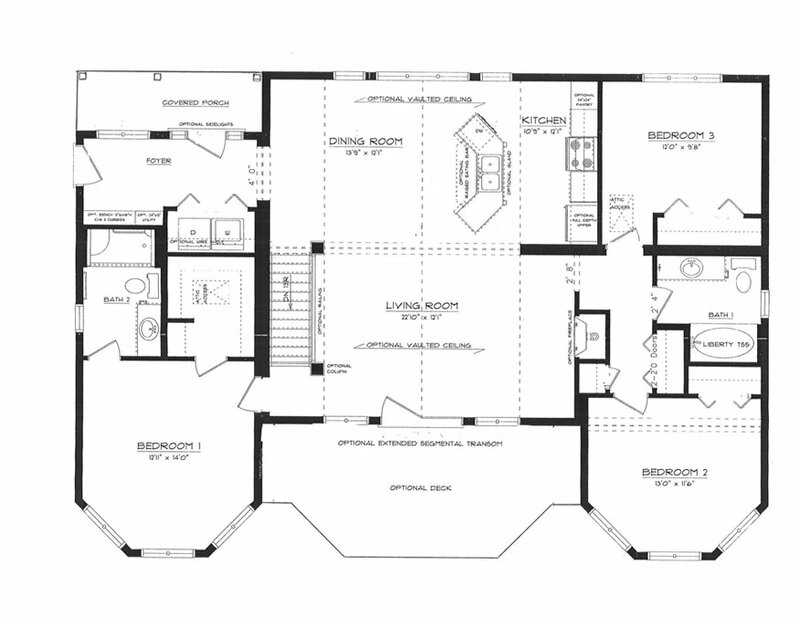 The master bedroom is located on the left side of the home with its own ensuite and walk-in closet. Two bedrooms are located on the right side of the cottage with the main bathroom. Large windows along the “view” side of the home take advantage of waterfront and wooded lot views.